I ‘ll be home in three weeks but, just this week alone, I missed Vanessa’s last high school soccer game, Halloween, and the climax of the fall foliage season. However, Roberta is here, and I can’t remember a more spectacular day in Baku since I arrived! This morning, we went to the Old City, and climbed to the top of Maiden’s Tower, Baku’s most popular tourist site. 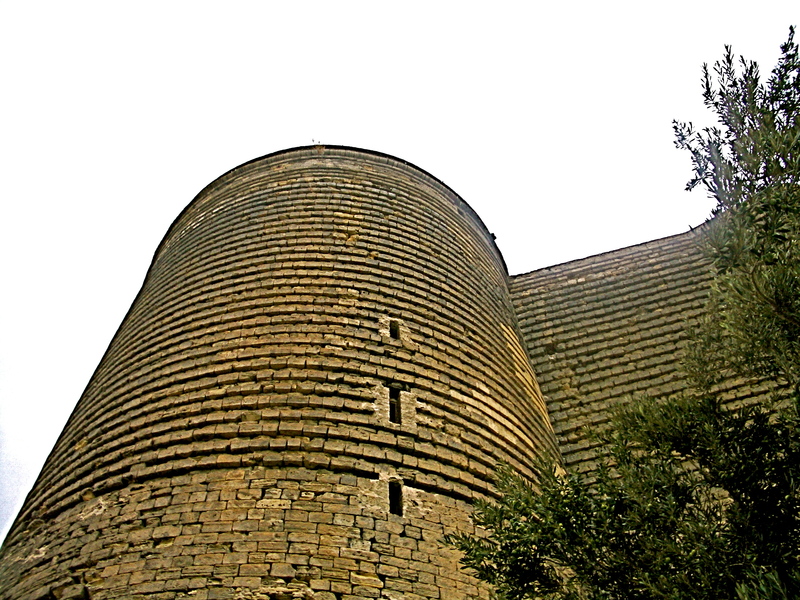 According to Baku legend, the 115-foot tower was built by the ruler of the Shirvan dynasty in the 6th or 7th century at the request of his daughter whom he wanted to marry. Once completed, the princess climbed to the top and jumped to her death in the Caspian Sea. Today, however, Roberta and I simply enjoyed the view. 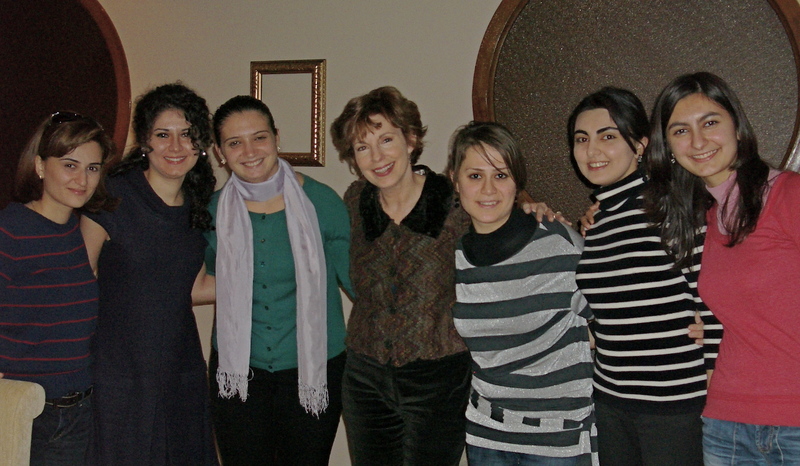 This afternoon, Roberta was the guest at a luncheon of the new Azerbaijan Women’s Diplomatic Club. Several of the women will be heading to embassy posts in other countries. Sunday, November 2: 7:10am, 12:10pm, and 3:10pm. The 87%-13% vote against John McCain at the debate we attended this week was the largest margin ever recorded during the program’s 5-year history. 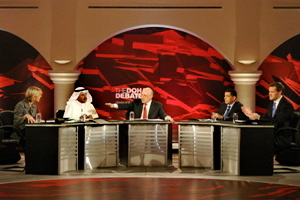 Meanwhile, our first taping of ADA Majlis is tentatively scheduled for November 14 to air two days later. The focus will be the Baku Energy Summit involving representatives from 15 nations. There is so much sill to do, including issuing invitations to the presidents of Poland, Ukraine, Lithuania, Georgia, and Turkey, as well as other participants, coordinating a similar energy debate to be recorded in Washington and inserted in our program, researching questions about oil, gas, pipeline, and other geopolitical issues, purchasing couches and tables for our set, technical rehearsals with the crew from ITV, and studio rehearsals with Khazar who never has hosted a television program. I’ll keep you posted. WOW – 3 weeks? Where’d the time go!? 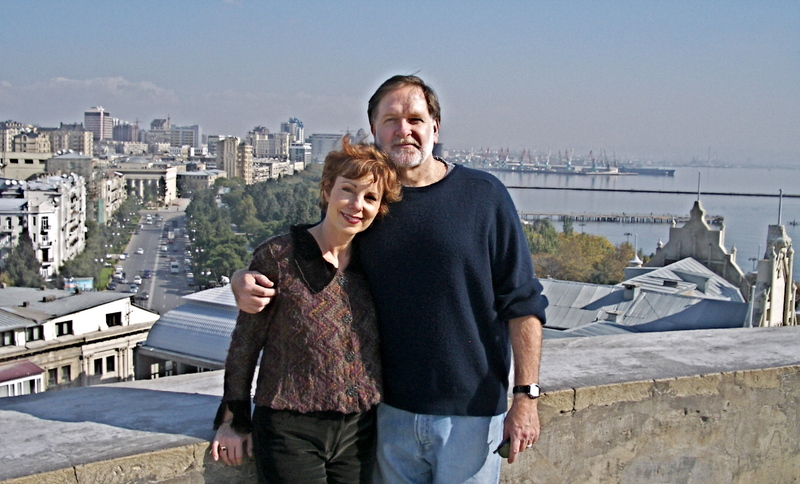 You guys look so kewt in Baku! Is the place you and Roberta took your pic outside the same place the banner pic is from? It’s pretty! Hi Roberta! Are you catching up on your college football?